Financial experts typically calculate damages remedies that focus on a plaintiff’s loss that is quantified either through lost profits or lost business value. In contrast, unjust enrichment is a damages remedy that measures the defendant’s benefit or gain. While the three remedies all serve to quantify damages, an expert must understand the similarities and differences among the remedies to render a relevant and reliable opinion that can withstand the court’s scrutiny in litigation. This article discusses issues that arise, measuring unjust enrichment and how it differs from a lost profit calculation. Damages remedies include lost profits, lost business value, and unjust enrichment. Earlier this year, I discussed the differences between lost profits and lost value. Similar to lost profits and lost business value remedies, unjust enrichment requires an expert to understand the differences among the use and application of all three remedies to have a credible opinion. Lost Profits, Lost Business Value, Unjust Enrichment—What’s The Difference? Lost profits and lost business value remedies measure damages from the plaintiff’s perspective. The purpose of these remedies is to make the plaintiff whole. Lost profits is a measure of damages typically utilized when a business or segment of a business suffers a temporary decline as a result of—or “but for”—the alleged damaging act. In contrast, lost business value is a measure of damages that is utilized when a business suffers a permanent loss. Examples of such permanent loss include inability to commence operations, cessation of all operations, or a permanent loss of a business segment. Since the business’s earning capacity is permanently lost, the damage period is into perpetuity. The third remedy, unjust enrichment, measures damages based on the defendant’s benefit, not the plaintiff’s loss. It is therefore not a measurement of damages based on the plaintiff’s records and results of operations, but rather, a measurement of damages based on the defendant’s records and results of operations. The distinction between measuring the plaintiff’s losses versus the defendant’s gains can have significant implications on the discovery process. This is because a claim for losses typically requires significant disclosures of financial and operational information by the plaintiff. In contrast, a claim for unjust enrichment requires disclosure of the defendant’s financial and operational information. For parties that may greatly distrust each other, meeting an opponent’s production requirements in a litigation proceeding can be a significant issue in determining the course of the litigation. Moreover, the burden of proof may be split between the plaintiff and defendant in an unjust enrichment action, with variations from one jurisdiction to the next with respect to who bears the burden to prove each aspect of damages. As a damages remedy, unjust enrichment seeks to deprive the defendant of, or disgorge, the alleged ill-gotten benefit or gain. Thus, the terms unjust enrichment and disgorgement are frequently used interchangeably. Unjust enrichment is generally used as a remedy for intellectual property infringement and breach of fiduciary duty. Although unjust enrichment has historically been associated with claims on trade secrets, copyrights, or trademarks, its application as a damages remedy has grown to encompass a broader universe of intellectual property. The growth has followed the increase in the role of intellectual property in the economy. For example, businesses routinely rely upon confidential and proprietary information that could easily provide an advantage to competitors—if this information is expropriated. To quantify the damages related to the improper use of intellectual property, unjust enrichment would capture the benefit the defendant received by using such information. 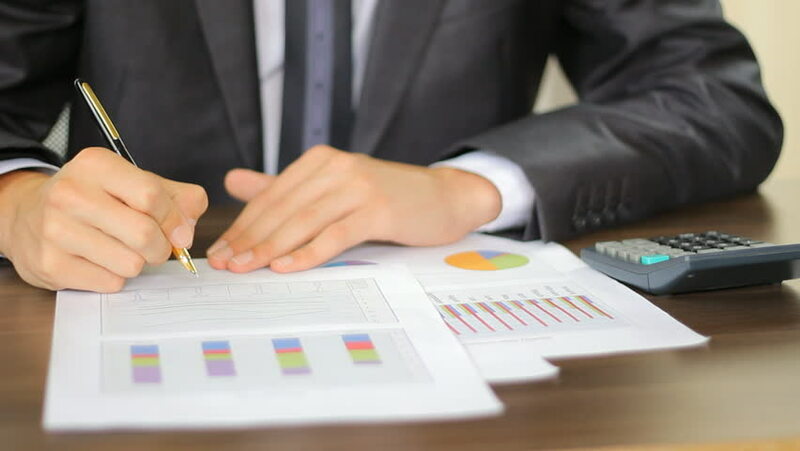 A complete review of the numerous differences between lost profits, lost value, and unjust enrichment is beyond the scope of this article; however, the experts understand the basic differences presented in this article. Another difference between lost profits and unjust enrichment is how the benefit is measured. In general, lost profits use ex ante evidence at the time of the alleged tort or breach, and a financial expert will rely on forecasts, projections, or budgets to estimate what would have happened to the plaintiff, absent the defendant’s actions. Unjust enrichment uses an ex post measurement of the actual benefit the defendant received based on evidence through the time of trial. Absent an injunction, some jurisdictions allow consideration of future unjustly gained profits. Typically, a calculation of unjustly earned profits begins with the determination of the revenues that the defendant benefitted from that are attributable to the defendant’s alleged wrongful actions. This exercise typically involves apportioning the total revenues between revenue attributable to the defendant’s wrongful actions, and revenue that the defendant earned through own proper efforts and knowledge. Full absorption—A level of offsetting expenses that includes an allocation of fixed and variable costs based on the allocated or apportioned revenues. Incremental—A level of offsetting expenses that includes variable and semi-variable costs. This approach typically captures those costs that change in proportion to the change in revenue volume. Selection of the appropriate level of expenses is determined by jurisdiction, with the federal circuits split between the two approaches. Moreover, precedents and guidance are limited and often create exceptions rather than rules. Ultimately, the goal is to account for the defendant’s ill-begotten gains; however, based on the treatment of fixed costs, the results under the two approaches can be significantly different. As the differences indicate, unjust enrichment is an equitable remedy that yields damages based on the defendant’s benefit. Unjust enrichment seeks a measure of relief without overly encumbering or unfairly treating the defendant, while at the same time carrying enough weight to act as a disincentive for future unfair actions by the defendant. The differences between damages remedies are complex, varied, and frequently misunderstood. The examples discussed here demonstrate some of the unique components of unjust enrichment damages. This article previously appeared in the MHP Newsletter, November 2016, and is reprinted here with the author’s permission. Although there may be instances in which the profits the plaintiff lost are similar to the profits the defendant gained. Laura Pfeiffenberger, MBA, MSA is a director in the Portland, Maine office of Meyers, Harrison & Pia Valuation and Litigation Support, LLC. She has significant experience in matters involving economic damages, including: the determination of damages related to contracts, infringement of intellectual property, personal injury/wrongful termination, post-acquisition disputes, and shareholder disputes. She has also performed valuations of business interests for a variety of purposes, including estate and gift tax matters, transactions, and litigation. Ms. Pfeiffenberger can be reached at (207) 775-5111or by e-mail to laurap@mhpbv.com.